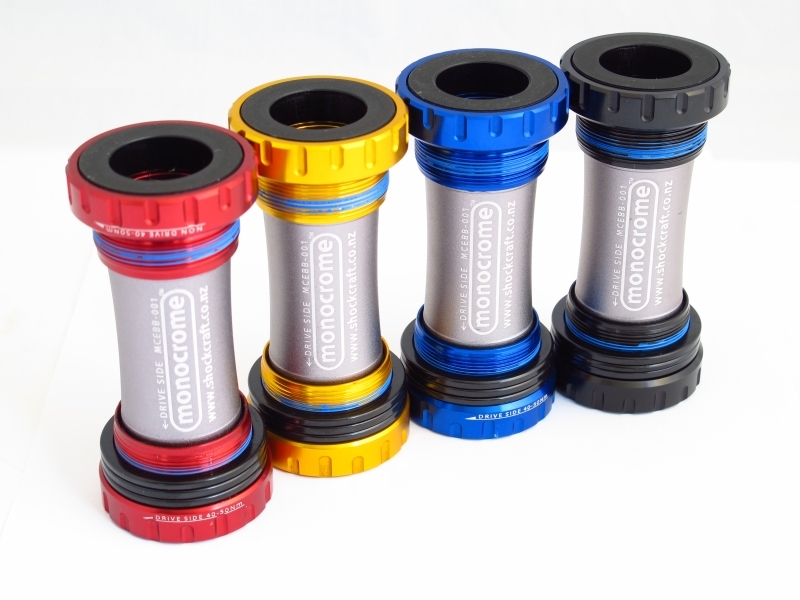 As well as the bearing options below, Shockcraft has its own Monocrome MTB Bottom Brackets (MCEBB001) to fit Raceface X-Type cranksets. These have high quality CNC machined and anodised aluminium cups, spacers and centre sleeve. Various bearing options and CNC Storm Drains are available. All parts are available as spares.